Chapter 13: Is A New Newell Coach In My Future? Is Pre-Owned Still On My Radar? Things started moving fast and furious after my initial driver training visit to Newell Coach headquarters in Miami, Oklahoma, and just a few days after arriving home from the first trip, I was already planning a return visit. This time, it was for a different purpose as this trip was to be dedicated to considering the design and purchase of a custom built Newell Coach. Unlike so many other motorhome brands, nary a negative word about Newell motor coaches can be found online. In fact, other than the sales information, specifications and the gorgeous photos embedded within the factory website, you’re hard pressed to find any first-hand user information regarding current model year Newell coaches online. 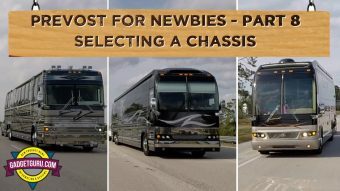 In this day and age of Google delivering instant access to information concerning just about any topic under the sun, I’ve found it difficult to find non-sales related, first-hand user information regarding new Newell coaches anywhere. That statement seems to summarize the overall theme of Newell coaches. Owners are happy with the craftsmanship of components and the quality of the ride and the services provided by the manufacturer are considered to be top shelf. 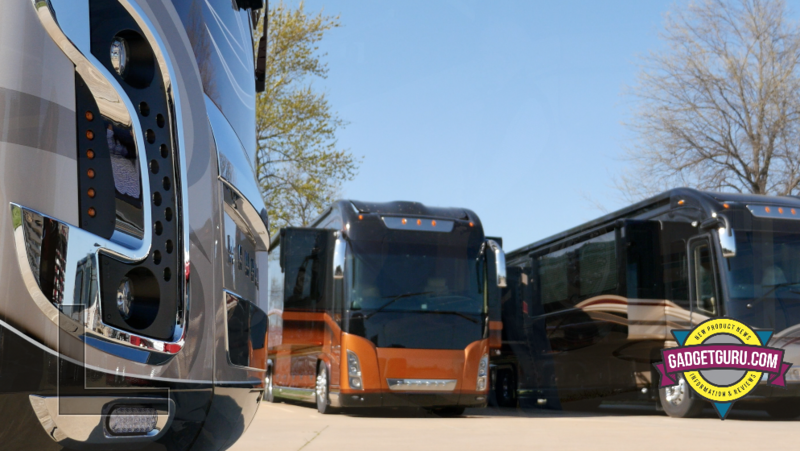 Are New Foretravel and Newell Coaches The Best Kept Secrets In The Motorhome World? 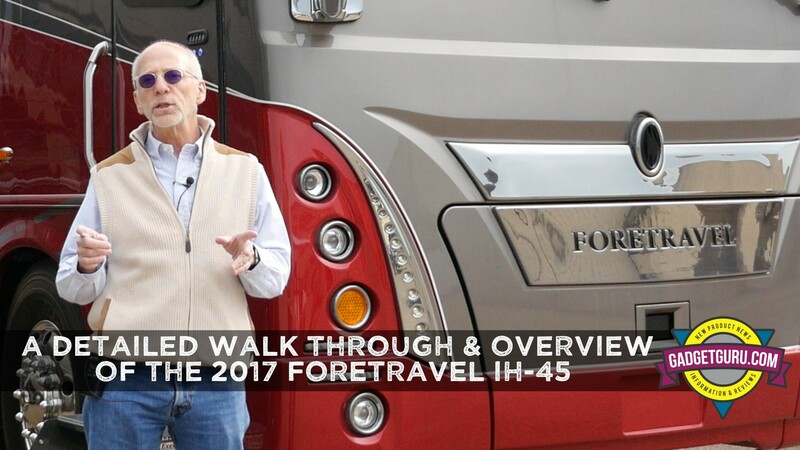 Much like the Foretravel IH-45, Newell coaches can be considered the best kept secret of the high end motor coach world. Considering the factory capacity is capped at 26 units per year, its a rare experience to see a Newell coach on the road. In terms of gathering information on top tier coaches, considering that Newell and Prevost models are in a similar price bracket and that Foretravel’s IH-45 and its new Realm fills the void between the mainstream brands flagship models and the aforementioned higher end models, the lack of information regarding both Newell and Foretravel’s IH-45 coaches is a bit puzzling. 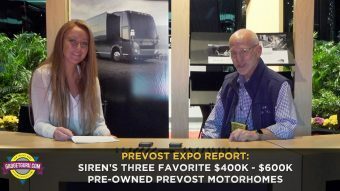 While there’s an abundant amount of information regarding Prevost ownership online, there’s nary a piece of first hand user information regarding new Foretravel or Newell models available to potential purchasers. Where’s The User Reviews Of Million Dollar Motorhomes? 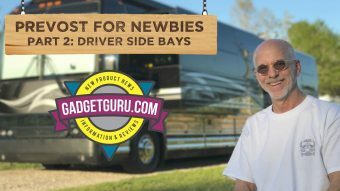 That’s probably because at a MSRP in excess of $1M for a Foretravel Realm and an IH-45, even higher for a new Prevost conversion and $2M for a new Newell coach, the associated demographic’s lifestyle is probably geared to playing things closer to the vest than posting their positive or possibly not-so-good experiences online. Yes, there’s the wonderful ForeForums and NewellGurus websites that contains quite a bit of Newell- and Foretravel-related content within the pages of its forums. 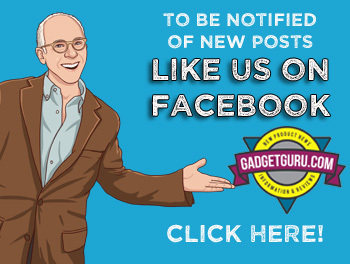 But as it’s easy to see, these sites are geared to older models and the the forums are structured in a way that allows the owners to trade tips and information about those models. For owners of those coaches, these forums are a welcomed element to the marketplace and I can only hope the manufacturers understand the importance they bring to the new buyer equation. After spending some time perusing numerous threads on Newell Gurus and reading few if any negatives about ownership issues, I contacted Newell to inquire about purchasing a pre-owned coach. It was during that conversation I discussed with the sales rep my concept of buying my last coach first, but possibly, if it was a Newell, due to the high price of admission and excellent reputation for quality and customer support, a lesser priced pre-owned model seemed to be the wiser choice. During that conversation, he informed me of a 2008 bunk model that may or may not become part of Newell’s inventory. It seems it’s owned by a family business and it simply wasn’t being used. In fact, if memory serves me correctly, it had fewer than 15,000 miles on the odometer, but quite a few hours on the generator. This told me that it had spent a lot of time parked and not a lot of time on the road. I was then informed this specific bunk model also included a feature that I found interesting: The master bedroom incorporated a Murphy bed that folded to reveal a home theater. 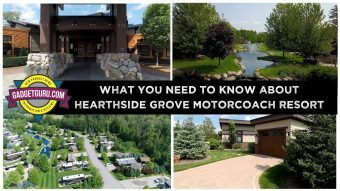 However, I’m to understand from various coach owners who are more knowledgeable than I am that motorhomes need to be used and if the engine and related components aren’t operated on a regular basis, it could be problematic in the future. At the least, motorhomes need to be started and the systems put through the paces on a regular basis. Even the Newell salesperson stated that the low mileage could signal a red flag. If it had been any other brand of coach, I probably would have stopped the conversation at that point. However, since it’s within a specific year of production, this model was eligible for a two-year factory warranty…as long as it’s purchased directly from Newell and returns to the factory for a recertification and inspection process. In many ways, this is no different that purchasing a gently used, pre-owned luxury automobile. My thought was if it could be purchased at a fair price and includes the two-year factory warranty, this could be the coach I’ve been seeking as my first and quite possibly, my last coach. While I never had the opportunity to see this coach and oddly, not even a single photo of the exterior or the interior color scheme seemed to exist, due to the interesting floor plan, I had a very high level of interest and wanted to know more. 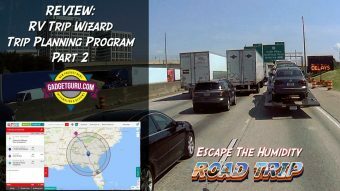 It was during this series of telephone conversations, I expressed my frustration about my difficulty in finding locations that were setup to teach newbies how to drive, handle and maintain a motorhome. While I had a trip to Motorhomes of Texas in Nacogdoches, Texas on the calendar for my first series of supervised coach driving lessons and knew that I would like to have additional professional instruction, I was told by the Newell salesperson, that if I would come to Newell, at my own expense of course, they would arrange for me to take two days of driving lessons on a coach that’s of the same era as the 2008 bunk model that captured my attention. Of course, there would be fees involved and unlike my experience at MOT where I paid the fees to the company, the instructor would need to be paid by me directly. So, the decision was made and I booked my flights to Tulsa, OK and made arrangements to drive nearly two hours from the airport to Miami, OK. 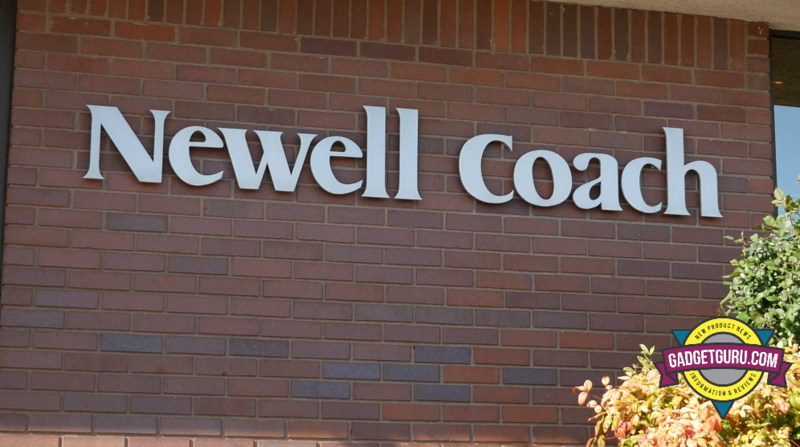 I have a story on this topic posted that contains video of my two days taking coach driving instruction from Glenn Edwards in a 2009 Newell coach. To cut to the chase, even though the model used for training during my visit to Newell had not undergone the PDI (pre-delivery inspection) process, this pre-owned model drove much smoother and quieter than anything I had experienced to date. Simply stated, Newell Coach had my full attention. Towards the end of my second and final day of this set of supervised driving instruction, the conversation turned to an innovation in the steering mechanism that is included on new Newell models. While I didn’t find too much wrong with the steering in the model we were driving, all he could say was that the difference is noticeable in adverse or windy driving conditions. I then asked if he could call the salesperson to learn if it’s possible to get some seat time in one of the newer models so that I could experience the difference. 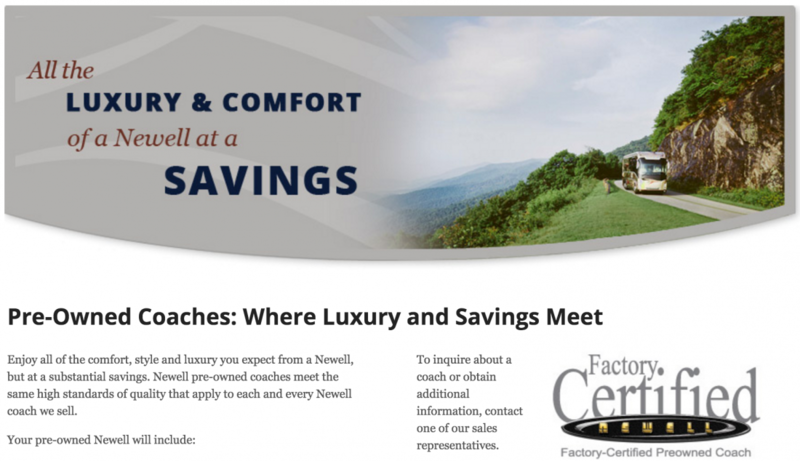 He called, the answer was affirmative and around 4pm we drove the 09 Newell back to the factory offices where the salesman would allow me to take a 20 mile drive in a brand new, 2017 Newell coach that had just completed the production and preparation process. While it’s difficult to explain subjects such as steering in print, allow me to say that this new model could be steered lock-to-lock with minimal effort. While there’s various settings that adjust the steering tension, I didn’t get to experience any setting other than the very light touch setting where it was adjusted during this drive. While driving through the plains of Oklahoma, a constant 20 mph wind with strong gusts were coming directly towards the left side of the coach. Instead of the coach reacting to these winds and pushing the coach to the right, the steering wheel automatically rotated to the left to the 11:00 position and appeared to turn into the wind. The visual effect of the steering wheel aimed to the left while driving in a straight line seemed odd. But it required little if any effort to keep the coach moving forward down this straight and open road and that was a good thing! After we utilized a shopping center parking lot to turn around and head back the same road with the wind now hitting the right side of the coach, the steering wheel remained in the same 11:00 position, but the coach continued to drive in a straight line. 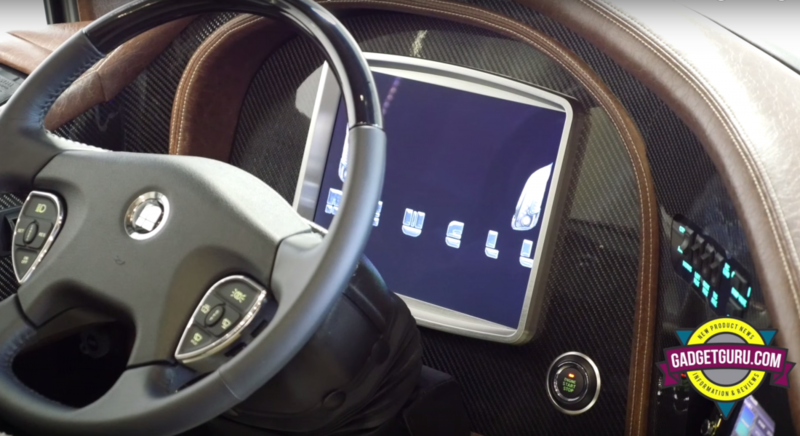 Over the distance of a few miles, the steering wheel slowly equalized to neutral, then returned to the center position and resulted in the steering wheel being pointed a bit right at the 1:00 position. Basically it was counteracting the winds that were pressing against the right side of the coach. During the return trip I asked the sales rep why it continued to aim in the previous position when the wind was now coming from the opposite direction and was told it took a few miles for the EasiSteer to adjust for the changing wind location. 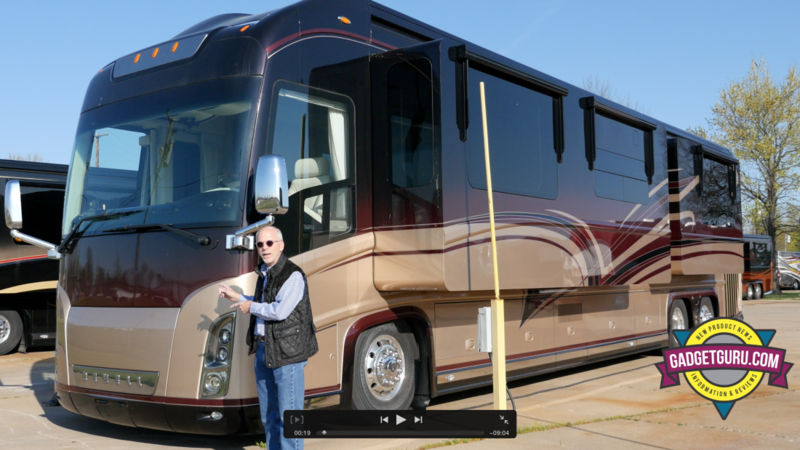 However, that evening I spoke to a 2016 Newmar King Aire owner and he stated that while Newmar’s Comfort Drive system operates in a similar manner, in this situation he felt his coach’s steering wheel would have reacted a bit quicker and not required a two-mile distance to compensate for the change of direction. Since I’ve never driven a Newmar with this feature, I cannot provide a first hand comparison. Located on the steering wheel were two sets of fingertip controls that allowed for steering wheel adjustment and, like many cars these days, to switch the suspension from sport to comfort modes. But I didn’t attempt to take my focus off the road during this brief drive as I was too busy getting the feel of this coach and paying attention to its nuances vs the pre-owned model I had spent nearly 15 hours driving. I was also distracted by the that “new coach smell,” the quality of the leather and woods and the near silent and smooth ride that combined, can be described as a recipe for intoxication. By the time we returned from that drive it was the end of the business day. I agreed to meet the next morning prior to my flight back to Florida and we discussed the possibility of the purchase of a new coach and was informed of a possible opportunity. Needless to say, I returned to the Newell offices shortly after the first trip and we began the process of attempting to design a custom coach. So, what happened to that 2008 Newell coach bunk model with the Murphy bed/home theater setup? The simple answer is: I don’t know. Once the discussion turned to the potential purchase of a new coach, that model seemed to vanish from the conversation. Stay tuned as the next chapter will answer the burning question: Did I order a new Newell Coach and did I purchase my Last Coach First? Will the 2008 bunk model return to the conversation? Is a Newell coach still on my radar? All of these questions and more will be answered in the next installment of Andy’s coach buying adventure. So Stay Tuned! Chapter 12: Shopping For A Motorhome – Is Pre-Owned Or New The Best Route? Chapter 14: Did I Place An Order For A Newell And Buy My Last Coach First?